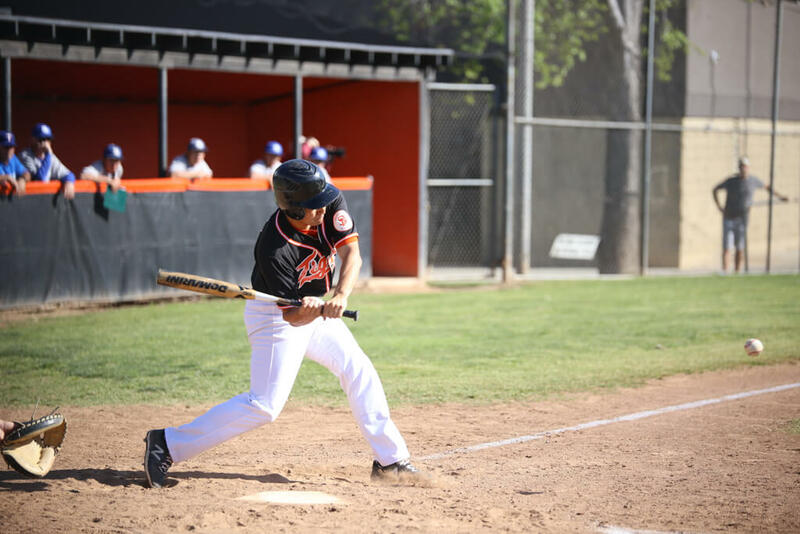 Varsity baseball suffered its fourth loss of the season after falling to the La Cañada Spartans by a score of 7-0 last Friday, April 14. Heading into the 7:00 matchup, many of the players were excited to be playing under the Friday Night Lights and entered the game with much anticipation but faltered in the fifth inning to strong Spartan bats. With La Cañada being seeded as the number one team in the Rio Hondo League, the Spartans entered the game and loaded the bases early in the first inning. After posting a man on third, a single allowed them to take an early 1-0 lead in the game. After a wild pitch, La Cañada’s man at third was caught after senior Jacob Luevano tagged him out covering home plate. With this performance, the Tigers managed to overcome a bases loaded situation with two more outs shortly after. On offense, South Pas struggled getting past first base in the first three innings. During this time the Spartans tallied up an additional run in the second inning for a two run lead. The Tigers defense continued to stand firm against the Spartans swinging with senior Kevin Park fielding the ball for a double play in the third inning. Park’s presence carried over on offense after singling and reaching second after junior Matt Walker was throw out at first. South Pas failed however in bringing Park home when the next two batters struggled at the plate and either struck out or were thrown out. The Tigers’ main downfall came in the fifth inning when the Spartans put two runners on base in scoring position at third and second. After a pitcher change, South Pas seemed to dodge another bullet after striking out the next two Spartans. The third batter however found paydirt and brought home both runners for a 4-0 lead. La Cañada continued to ride on their momentum and scored three additional runs for a 7-0 lead. With the team’s momentum shot, South Pas still managed to get Park at third base in the sixth inning but again faltered against the Spartan pitcher. Followed by another scoreless inning for both teams, the Tigers ended the game with a final score of 7-0. Despite the loss, the team looks to stay within playoff contention with a victory over Temple City at home on Tuesday, April 18.